The White House lawyers fought back in court against CNN and Jim Acosta as they made their case to keep the ban in place. “The President and White House possess the same broad discretion to regulate access to the White House for journalists (and other members of the public) that they possess to select which journalists receive interviews, or which journalists they acknowledge at press conferences,” they wrote. Sarah Sanders added her two cents with a statement that was heavy on common sense and light on legal mumbo jumbo as Sarah prefers to let the facts do the talking. The president’s comments on the controversy were his first since his legal team fired a salvo at CNN hours earlier, responding to a lawsuit the network filed after Acosta lost his press credentials. That followed a clash with a female White House intern over a microphone during a Nov. 7 press conference. ‘He was very rude to the young lady,’ he said of the intern, who the White House has declined to identify. 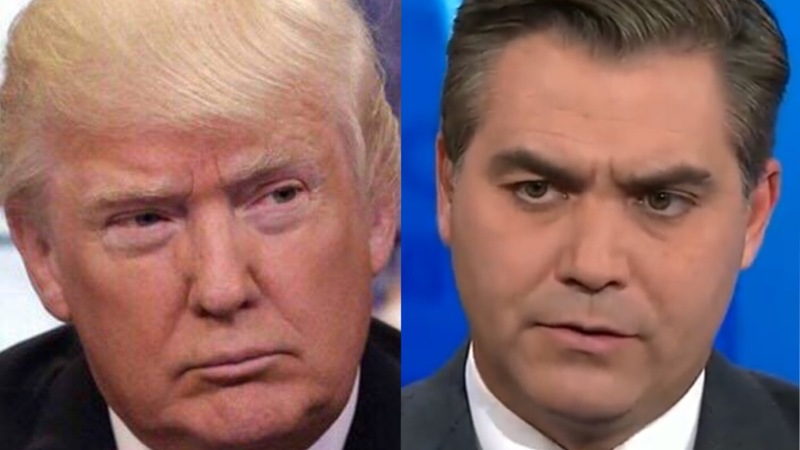 “I have always endeavored to conduct myself as a diligent but respectful reporter who asks probing but fair questions,” Acosta wrote on CNN earlier. “This has frightened both me and my family and required us to take additional security measures in our daily lives,” he said.